Additional casting includes Sean Pertwee as Alfred Pennyworth, Zabryna Guevara as Captain Essen (Detective Gordon’s boss), Erin Richards as Barbara Kean (a doctor and Gordon’s fiancée), Donal Logue as Detective Harvey Bullock (Gordon’s partner and mentor, Jada Pinket Smith as Fish Mooney (a hothead gangster boss who is an original character for the series), and Robin Lord Taylor as Oswald Cobblepot (henchman to Fish Mooney and eventually The Penguin). Sean Pertwee’s involvement is a delightful piece of geek news. He’s the son of Jon Pertwee, the third Doctor (Doctor Who), and an accomplished actor in his own right. It’s the casting of Donal Logue and Jada Pinkett Smith, in addition to McKenzie, who really have me excited for this show. Logue was fantastic in the underwatched Terriers and has been making some terrific extended guest turns on shows in the years since it went off the air. I’m also looking forward to see Pinkett Smith as something other than Will Smith’s wife or Jaden and Willow’s mom. 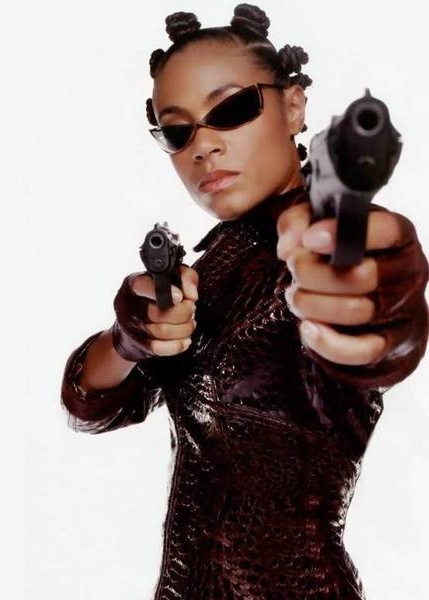 I didn’t love the second and third Matrix movies but her performances in them show that she can probably do pretty good at a tough villain role. This casting has the potential to become a strong show. Fox does have a history of mistreating genre television and while they’ve been back to old habits with Almost Human, chief among them airing episodes out of order, they treated Fringe well despite less-than-stellar ratings and Sleepy Hollow‘s first 13 episode season was fantastic. DC has also done well with TV lately. Arrow is ridiculously watchable and the CW has also picked up its spin-off, The Flash. While Marvel is beating DC at the movie game, DC seems to be lending itself better to television than its competitor.